Yeah!! Just bought a PSP Slim Lite today!! This 4GB memory gaming device filled with games will ensure hours of game play for me. Something to fill my time & destress when not working or reading financial related stuff. Next step is to try connecting it to the internet using wireless connectivity. 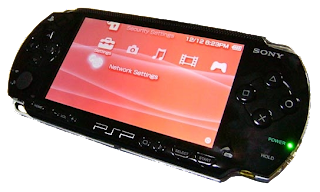 PSP is a amazing device compared to previous generation of hand held devices that used to be bulky and not so graphically beautiful. It is like a mini- computer, should have bought it earlier if i had known earlier that the graphics were quite good. And I don't need to strain my eye to read the words on the LCD display.